Financing: EUR 4,100,000 loan from the EBRD’s Direct Finance Framework – project: 48113, signed on November 3, 2017. The valley of the Krapska river is part of the proposed Jakupica National Park, Emerald area, that could become part of the Jakupica Natura 2000* area upon Macedonia’s entry into the European Union. * Natura 2000 is a network of protected natural sites on the territory of the EU. The area is considered a biodiversity hotspot and is home to numerous endemic and endangered species – most notably the Balkan Lynx (Lynx lynx), but also the Brown Bear, Balkan Chamois, European Pine Marten, Golden Eagle, Black Stork, Eurasian Otter, Large Copper butterfly, Rosalia Longhorn beetle, among others. Krapa village rests on the southern slopes of the Jakupica mountain range – the only remaining migratory route for large mammals from the Mavrovo National Park and the surrounding protected areas to Jakupica and back. Numerous surrounding caves also host large populations of various endangered bat species. 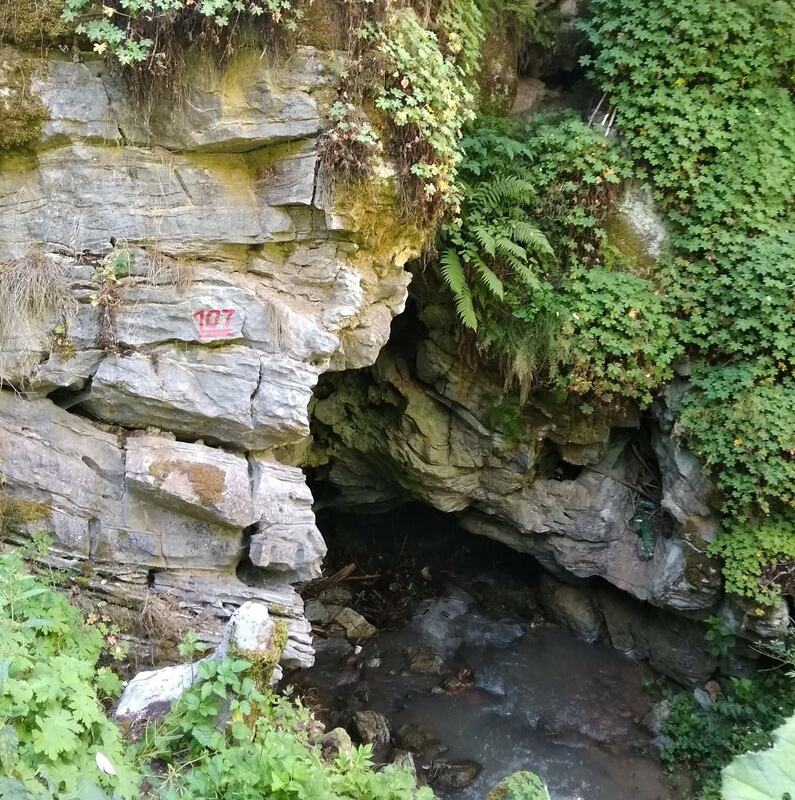 Krapska Reka, its river bed and the surrounding caves are considered an extremely important speleological site – subject to continuous speleological research in the past 50 years. The river is Macedonia’s most important and most valuable sinking river. Several hundred meters downstream from the Krapa village it sinks into a cave system filled with underwater lakes, more than 10 kilometers long. There have been unconfirmed reports from diving expeditions that an unknown species of blind fish inhabits the lakes, and further exploration is planned by speleological organisations to confirm the findings. Although it is subject to additional research, experts claim that this is not the only part of the river where water sinks into the karst. The river itself together with the water springs in the area – some of which seem to be connected to the river – is an important source of drinking water for many of the surrounding villages. The concession-holder Aktuel Energy Group DOO – Skopje is already at an advanced stage of the plant construction. The powerhouse is around one kilometer upstream of the village and the intake is some four kilometers upstream of the powerhouse. Since it is inside a protected area, according to the EBRD Environmental and Social Policy this should have marked the Krapska Reka plant as a Category A project and, as such, subject to a full Environmental Impact Assessment (EIA) process, which includes public consultations. To our knowledge, no such study was conducted – only a scant “environmental elaborate”. The EBRD states that it has commissioned additional studies. Since these are not publicly available, we cannot assess whether they identified any of the risks mentioned in this report and whether any mitigation measures were proposed. Such additional studies also carry no weight within the national legal enforcement system and cannot be challenged in court if insufficient, unlike proper Environmental Impact Assessments. The mitigation measures recommended in the environmental elaborate are, considering the importance of the area, insufficient. Findings: Pictures depicting the powerhouse and a location halfway through to the intake. Construction works were being performed at the time of the visit. None of the construction sites were properly enclosed at the time. Findings: A lot of trees along the edge of the road seem to be unnecessarily damaged. Many of them are destroyed simply by reckless pushing of rocks and debris towards the river bed. These also create obstacles for the water flow. 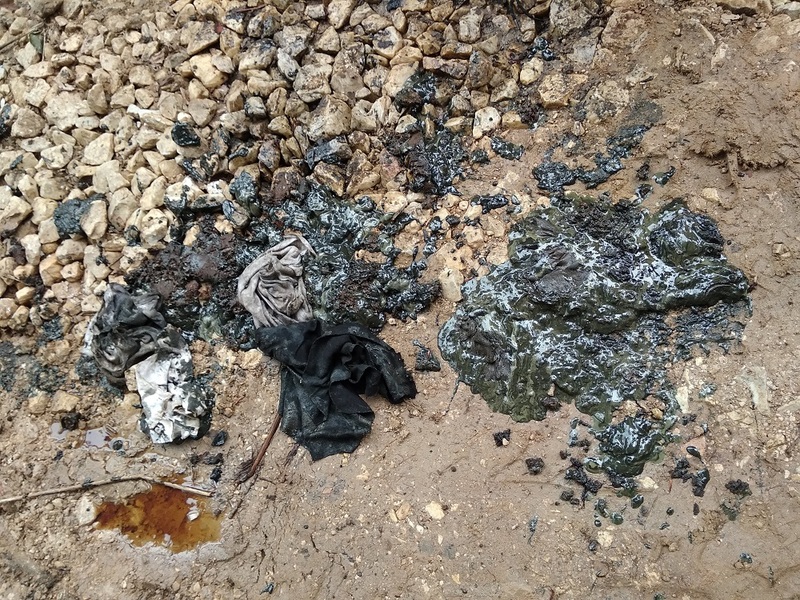 Findings: Along the entire route of the construction works there are clear signs that the employees neither reduced waste, nor properly treated it. 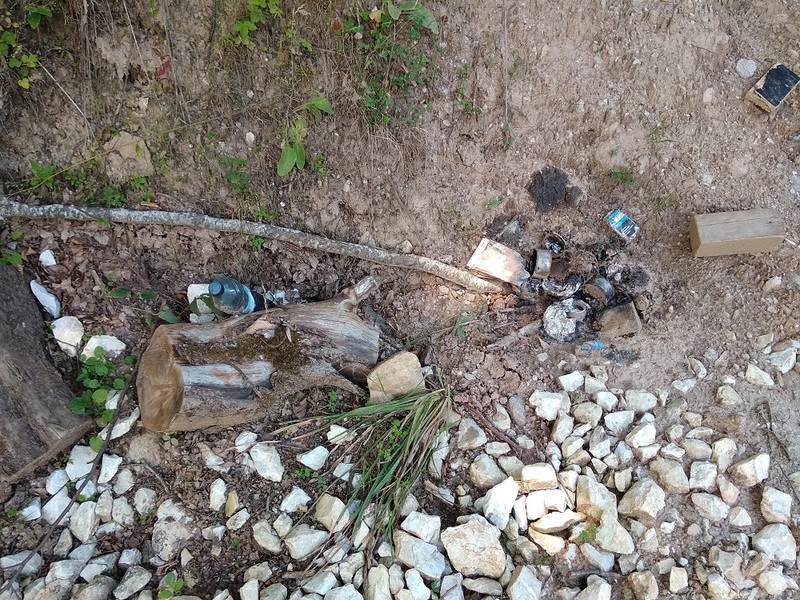 Plastic bottles and bags can be found along the riverbank, and food cans and plastic bottles were burned just next to the workers’ small cabin. Findings: On locations where maintenance on the construction machinery was performed, hydraulic fluids and oil leaks are clearly left unattended and are not properly treated. 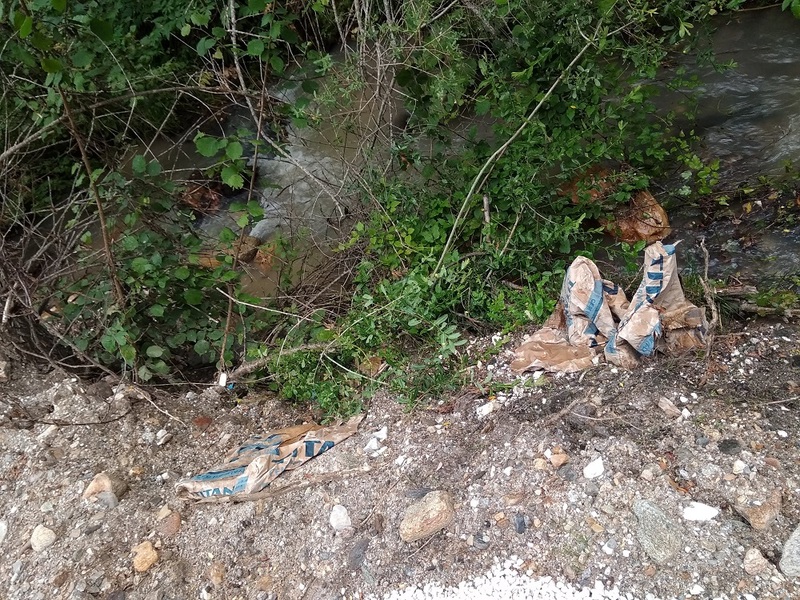 Findings: Cement bags were disposed of directly into the river. 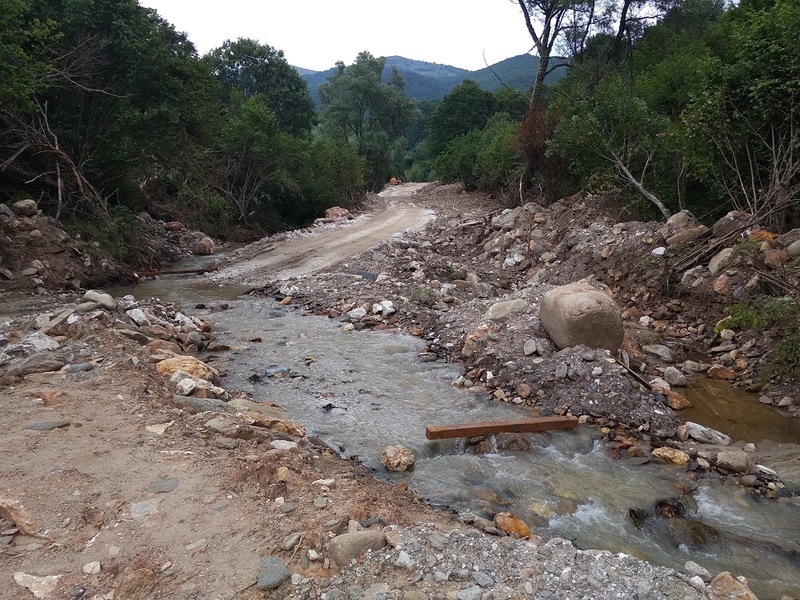 Findings: Huge amounts of debris were dumped at the river crossing blocking the river flow and creating conditions for future sedimentation, especially during construction works when a lot of soil is flowing downstream. Findings: At none of the construction sites prefabricated toilets were present. 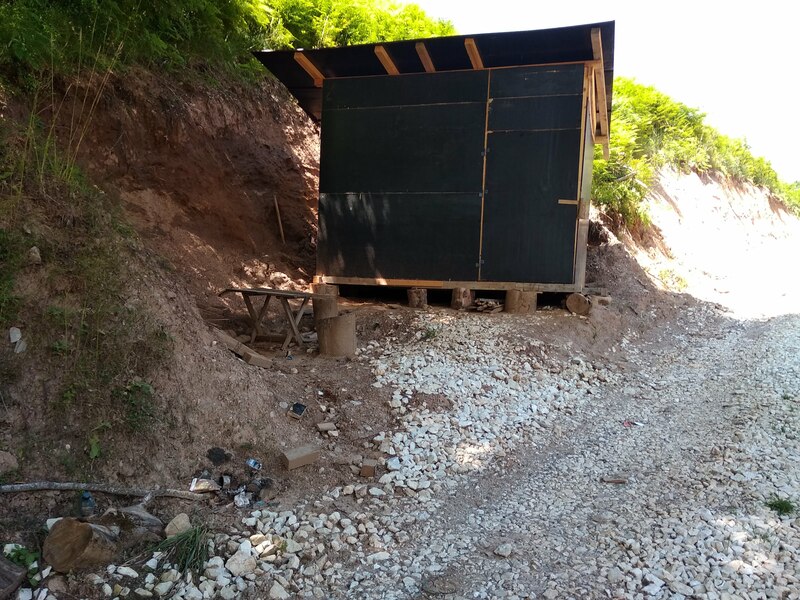 Pictured is the improvised workers cabin near the intake, equipped with one table for eating. The burned waste mentioned before can also be seen in the lower left corner of the picture. Good construction practice: The entrance to the construction site should be clearly marked and enclosed, as required by national legislation. The sign at the entrance must contain the investor (concession-holder), construction company, building permit and supervising authority. 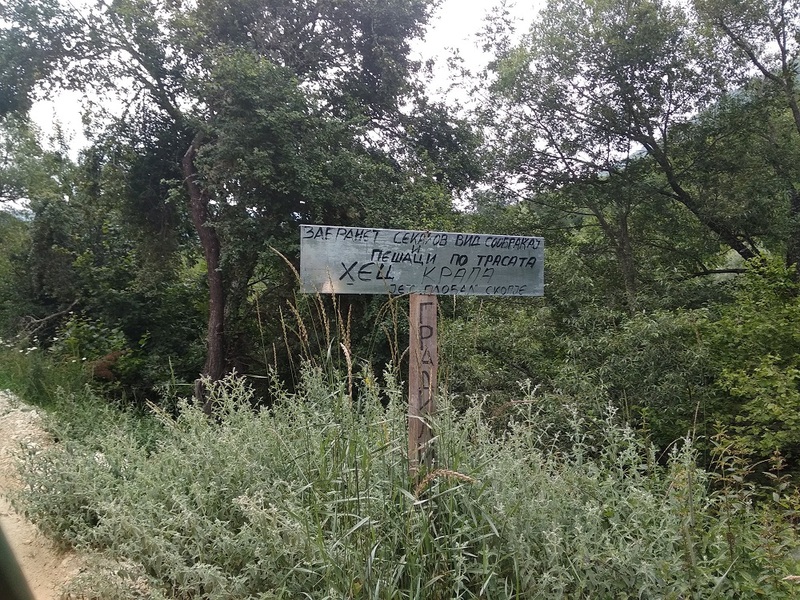 Findings: The only sign that gives some kind of warning that the area is a construction site is a complete improvisation and it does not provide all the necessary information it should. Good construction practice – labour and workplace safety: All employees must wear personal protective equipment appropriate for the task they are carrying out. The scaffolding must have a protective fence or net. Findings: As can be seen, workers were not wearing any protective equipment and there was no protective fence on the scaffolding. The environmental elaborate for the Krapska Reka was finalised in February 2015. Together with the national legislation, it outlines mitigation measures in several categories: protection of flora and fauna, waste management, soil and water quality, and good construction practice. A field visit in July 2018 showed that most of the measures were disregarded during construction. Since the project was financed under the EBRD’s Direct Financing Facility, the bank’s current Public Information Policy only required disclosure of project information after loan signing. This meant that by the time the loan was discovered, construction was underway and it was too late to make major changes. In its 2019 policy revisions the EBRD needs to bring about a much needed change. Project information must be disclosed in advance to allow for a proper participation of all concerned. 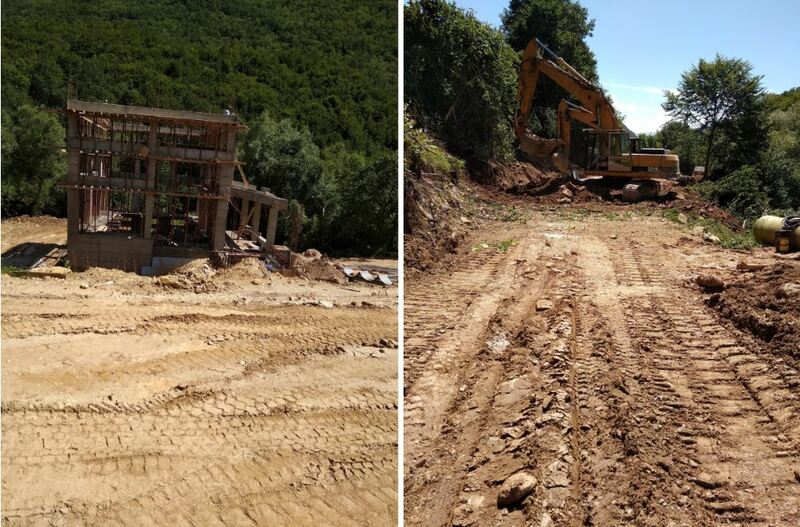 In April 2018 – when the EBRD was still responsive to communication about the Krapska Reka hydropower plant – the bank claimed that this project is outside the protected areas. We used GPS to record exact locations of the powerhouse and the intake and compared to the data/shapefiles of Macedonian protected areas. Krapska Reka, along with the powerhouse, pipeline and intake of the Krapska Reka plant were clearly inside a protected area. 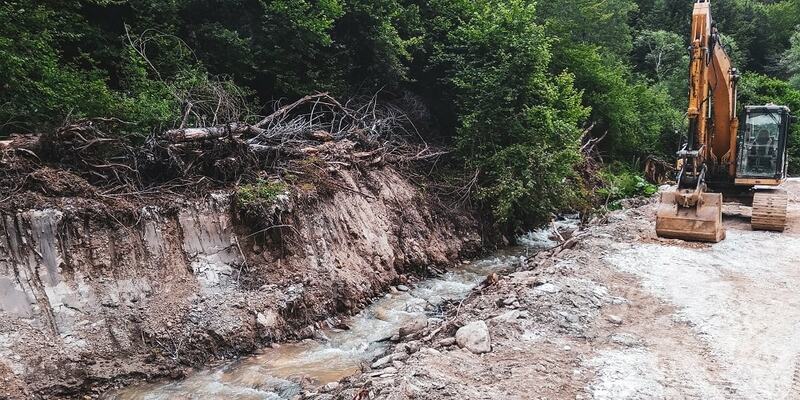 For the EBRD to consider stopping disbursements and cancelling the project, should it be confirmed that the project is, in fact, contravening the provisions of the EBRD’s own Environmental and Social Policy. On 5 February 2019 the EBRD finally responded but did not answer our question about the location of the plant, nor about disclosing the additional studies. The only commitment made was to visit the site in 3-4 months from now. Meanwhile, construction of the plant is nearing completion and yet another beautiful river valley is being destroyed.